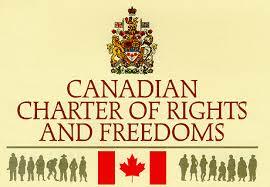 What does the Canadian Charter of Rights and Freedoms say about abortion? There is nothing in the wording of the Canadian Charter of Rights and Freedoms to indicate a constitutional right to abortion. And although claims are often made that the Supreme Court of Canada recognized a constitutional right to abortion in its 1988 Morgentaler decision,1 that is an incorrect understanding of what the Court decided. What did Madam Justice Wilson say? What did Chief Justice Dickson (and Justice Lamer concurring) say? Section 251, therefore, is required by the Charter to comport with the principles of fundamental justice. Any infringement of the right to life, liberty and security of the person must comport with the principles of fundamental justice. These principles are to be found in the basic tenets of our legal system. One of the basic tenets of our system of criminal justice is that when Parliament creates a defence to a criminal charge, the defence should not be illusory or so difficult to attain as to be practically illusory. Parliament must be given room to design an appropriate administrative and procedural structure for bringing into operation a particular defence to criminal liability. But if that structure is “so manifestly unfair, having regard to the decisions it is called upon to make, as to violate the principles of fundamental justice”, that structure must be struck down. In the present case, the structure — the system regulating access to therapeutic abortions — is manifestly unfair. It contains so many potential barriers to its own operation that the defence it creates will in many circumstances be practically unavailable to women who would prima facie qualify for the defence, or at least would force such women to travel great distances at substantial expense and inconvenience in order to benefit from a defence that is held out to be generally available. What did Justice Beetz (and Justice Estey concurring) say? I do not believe it to be unreasonable to seek independent medical confirmation of the threat to the woman’s life or health when such an important and distinct interest hangs in the balance….. The assertion that an independent medical opinion, distinct from that of the pregnant woman and her practising physician, does not offend the principles of fundamental justice would need to be reevaluated if a right of access to abortion is founded upon the right to “liberty” in s. 7 of the Charter. I am of the view that there would still be circumstances in which the state interest in the protection of the foetus would require an independent medical opinion as to the danger to the life or health of the pregnant woman. Assuming without deciding that a right of access to abortion can be founded upon the right to “liberty”, there would be a point in time at which the state interest in the foetus would become compel- ling. From this point in time, Parliament would be entitled to limit abortions to those required for therapeutic reasons and therefore require an independent opinion as to the health exception…. What did Justices McIntyre and La Forest, in dissent, say? Save for the provisions of the Criminal Code permitting abortion where the life or health of the woman is at risk, no right of abortion can be found in Canadian law, custom or tradition and the Charter, including s. 7, does not create such a right. Section 251 of the Criminal Code accordingly does not violate s. 7 of the Charter. …The proposition that women enjoy a constitutional right to have an abortion is devoid of support in either the language, structure or history of the constitutional text, in constitutional tradition, or in the history, traditions or underlying philosophies of our society.